Welcome to PNS Garage Installations, the garage equipment specialists. PNS Garage Installations are a Manchester based company offering a nationwide service to workshops and bodyshops. We supply, install and service all garage equipment offering a one-stop-solution for all your workshop needs. We can design your new workshop or service an existing one. We can help you to get the most out of your workshop by offering you a no obligation assessment of your needs. We supply new and reconditioned garage equipment, including Two post ramps, Four post ramps, Scissor lifts, Inground lifts, Tyre changers and Wheel balancers from top names such as Autop and Ravaglioli to up-and-coming budget brands such as EuroTek. We specialise in the supply and installation of Compressors, Compressed air lines, Oil lines, Waste oil management, Exhaust extraction, Dust extraction, Spraybooths and Gas and heating. 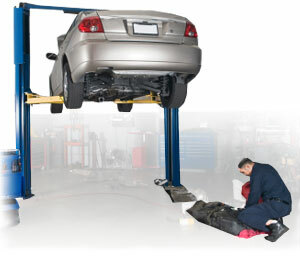 PNS Garage Installations works with nationwide dealerships and independent garages. Finance is available on most of our garage equipment. PNS Garage Installations for all your garage equipment and bodyshop equipment needs. Call now on 01706 563007 or contact us by email.